She Lightly Teased a Parkland Teen. The Left Wants to Destroy Her Career. Conservative talk-show host Laura Ingraham is under attack by the left, which has threatened to boycott all of her Fox News advertisers to ultra-fast effect. As of Friday, five major companies have already pulled their accounts from Ingraham’s primetime show and it would not surprise us in the least if several more follow in their footsteps. This is getting an extraordinary (if unsurprising) amount of mainstream media coverage, and there’s nothing these companies fear more than the specter of bad press. The controversy started on Wednesday when Ingraham noted on Twitter that Parkland teen activist David Hogg had not had much success with his college applications. She linked to a story elaborating on that fact and put in a bit of her own (quite mild, we thought) commentary. “David Hogg Rejected By Four Colleges To Which He Applied and whines about it. (Dinged by UCLA with a 4.1 GPA…totally predictable given acceptance rates. )” she wrote. As the media covers it, Hogg “took the high road” and, instead of attacking Ingraham personally, decided to destroy her professional career instead. Gee, we can’t speak for Laura, but we’re pretty sure she would have rather he called her a name or two. Be that as it may, once Hogg posted a list of Ingraham’s main Fox News advertisers and asked his followers to boycott the companies, the cave-in began almost instantly. 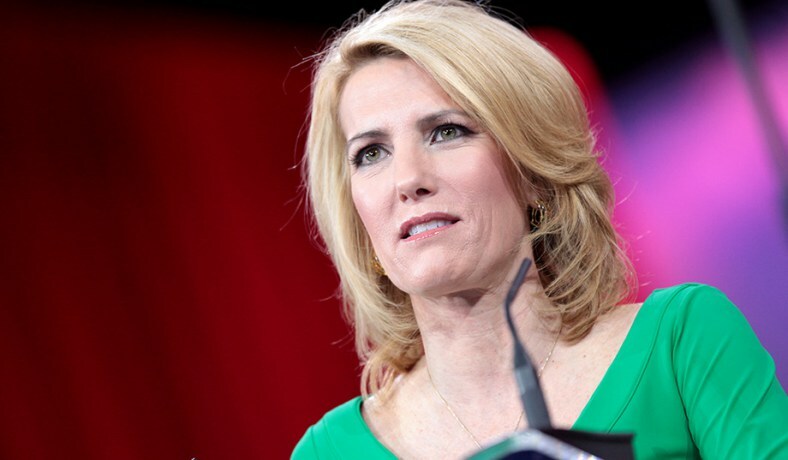 TripAdvisor, Wayfair, Hulu, Nestle, and Nutrish have all announced that they will no longer run ads on Ingraham’s show. You may notice that their language is STRAIGHT out of the Obama lexicon. Yes, these poor students who are out there telling the country that conservatives and Republicans and NRA members have the blood of children on their hands now feel “bullied.” Once again, the left can say whatever they want about their designated American villains, but any retort will be met with “consequences.” It’s fair play in the free market, we suppose, but it does show you how terrified liberals are of having an even, balanced war of ideas.